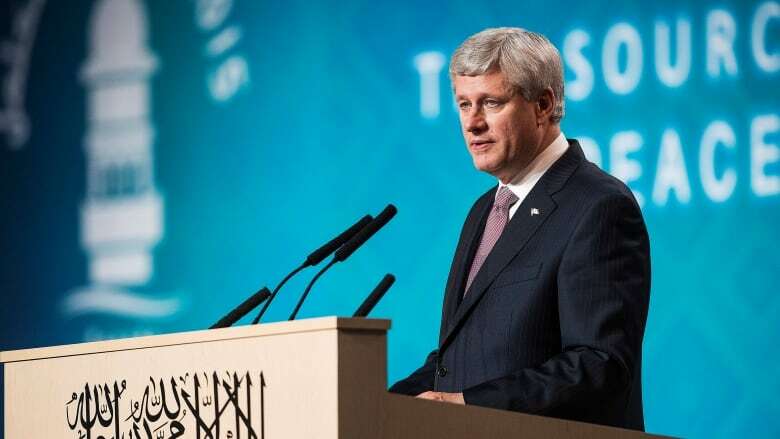 Stephen Harper trumpeted a new economic report Friday that he said validates his government's policies, but questions quickly emerged as to whether the Conservative leader was offering too rosy an interpretation. The department of finance's monthly Fiscal Monitor reported a $5-billion surplus for the April-to-June period this year, but nearly 40 per cent of the gain was attributed to the government's one-time sale of General Motors shares in April. Spin Cycle: When should deficits stop? Poll Tracker: Are the Conservatives headed for 3rd? Harper issued a written statement shortly after the monitor was released, saying it meant that his Conservative government was "ahead of the game" on its budget plan. The Liberal campaign accused Harper of claiming a "phoney surplus," saying he is actually running a deficit, despite his claims to the contrary. Kevin Page, the former parliamentary budget officer, said he was surprised by the size of the reported surplus, given the weakness of the economy. "We are still many months away from pronouncing on a budgetary balance for the year," Page cautioned. Quarterly GDP numbers due next week are also expected to shed additional light on the economic situation. The Conservative leader did no formal campaigning Friday, opting instead to address the Ahmadiyya Muslim Jama'at, Canada's largest national Islamic convention, which kicked off a three-day conference in Mississauga. Officials on the Conservative campaign had indicated that Harper would make mention of the fiscal monitor report in his speech, but the prime minister apparently decided otherwise. Harper also spent part of Friday in Toronto shooting new television commercials, on what was a rare down day in the Conservative campaign. He's not expected to resurface before Monday. NDP Leader Tom Mulcair and Liberal Leader Justin Trudeau were both in Montreal, arguing over which party has the best economic plan for the country. Trudeau was joined by former prime minister and finance minister Paul Martin for the second time this week and the elder Liberal statesman stole the spotlight. Martin, who balanced the country's books in the 1990s as the Liberal finance minister, called Harper "the king of deficits." Martin's fiery speech was aimed at buttressing Trudeau, who staked out fresh ground this week by saying he would run modest deficits to 2019 in order to pay for new infrastructure investments that he said are essential to spurring long-term economic growth. The NDP and Conservatives have promised balanced budgets, prompting Martin to say: "That Tom Mulcair is now a student of Stephen Harper's economy makes absolutely no sense." Mulcair, himself a former Quebec cabinet minister, fired back at the Liberals, describing Martin as "the king of austerity." Mulcair accused Martin of trimming social and health transfers to the provinces by almost one-quarter, while cutting employment insurance and housing spending. "Could you be a little more discreet before you criticize the NDP's balanced, realistic approach to taking care of future generations?" Mulcair asked.